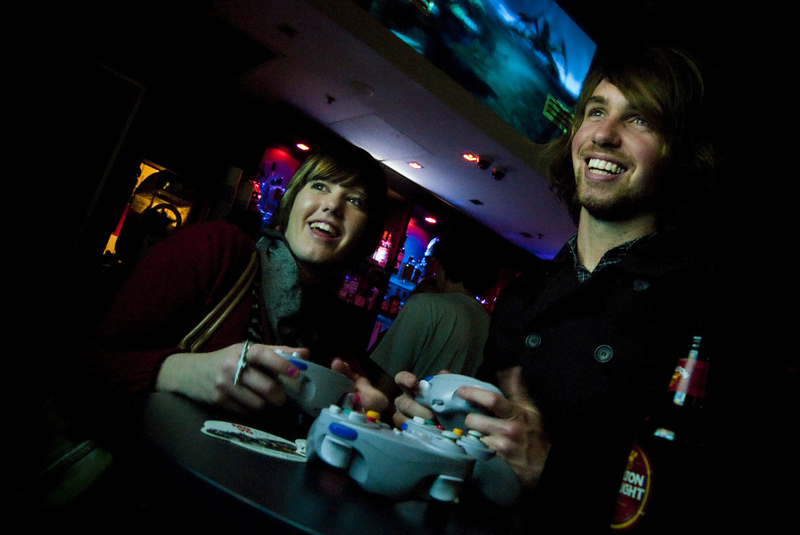 When I was last in Melbourne, my brother showed me this place in Fitzroy called Mana Bar. Just that name in itself is pretty cool, but I really liked the concept as well: a bar, like any other bar, except with videogames for you and your friends to play. So I guess the World of Warcraft isn’t the only place for geeks to get together and hang out, after all! For more info about the place, check out their website. There’s a branch in Brisbane too, apparently. There are a few places like this in Singapore, but they tend to be very family/teen-centric, right? As in, the strongest drink you’re going to get is a Red Bull… and it’s just hard to feel comfortable when there are snotty teenagers and slimy kids running around and tripping on cables. A more 18+ sort of place would be a lot more comfortable for older more mature people like me. These people look like they’re having fun!